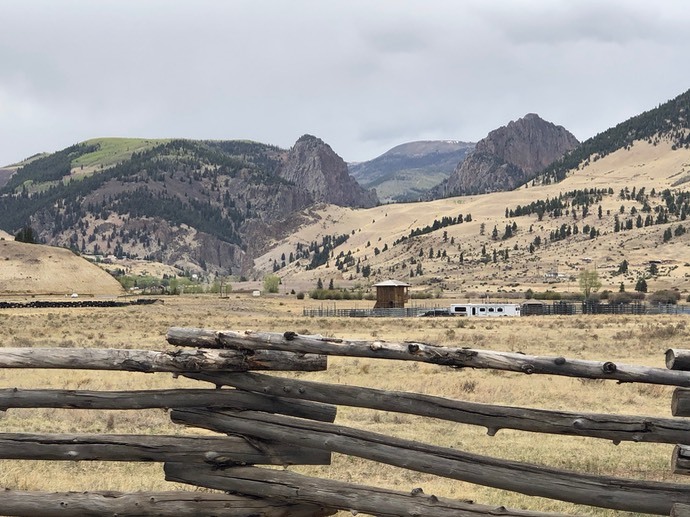 The next morning the plan was to drive the Bachelor’s Loop which was a dirt road that led through the stone mountain passes in a loop that meandered back to downtown Creede. �It was a bit of a chore for Chappy as some of the inclines were fairly steep. 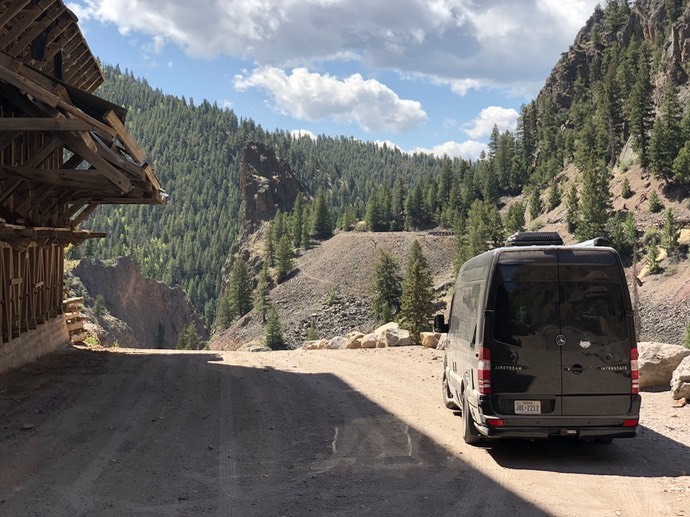 �We made our way up past 10,500 feet and finally made it to the top. On the way back down we passed through five or six areas where real estate had been sold, possibly as a claim as we had seen advertised and the new owners were busy putting in access roads, etc. 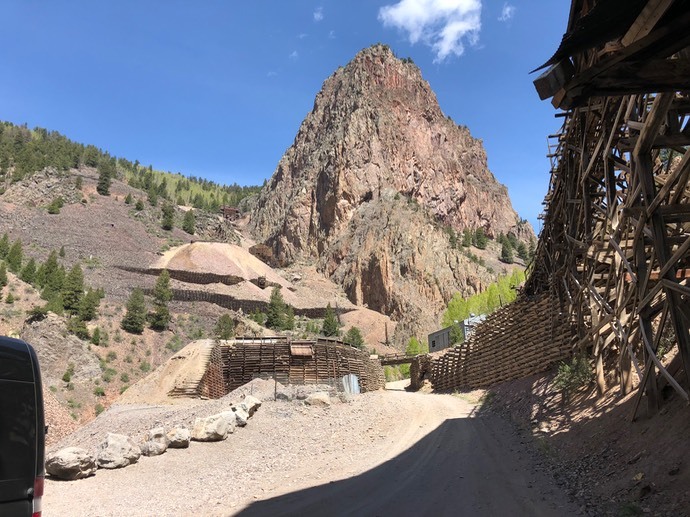 �Past the privately owned area we started descending �a very steep hill and came into what was apparently a large mining operation in the heyday of mining for silver. 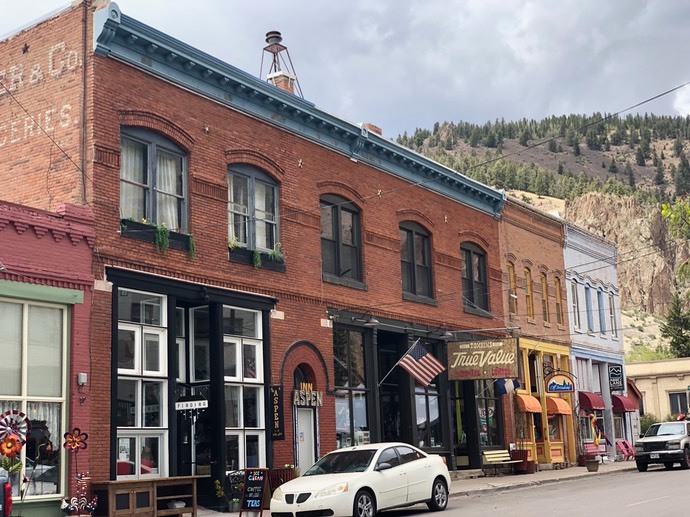 �Large wooden structures were hanging on the side of the mountains obviously used in the extraction of ore. �A large trestle made of huge wooden beams extended four or five stories to another old building used to load the ore into a truck or a train car. 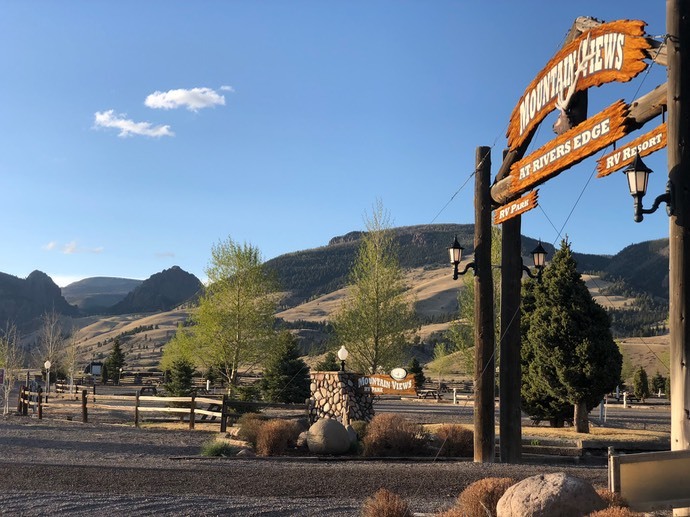 �We finished the Bachelor’s Loop and drove back through Creede telling ourselves we would definitely come back to this unique place in Colorado. 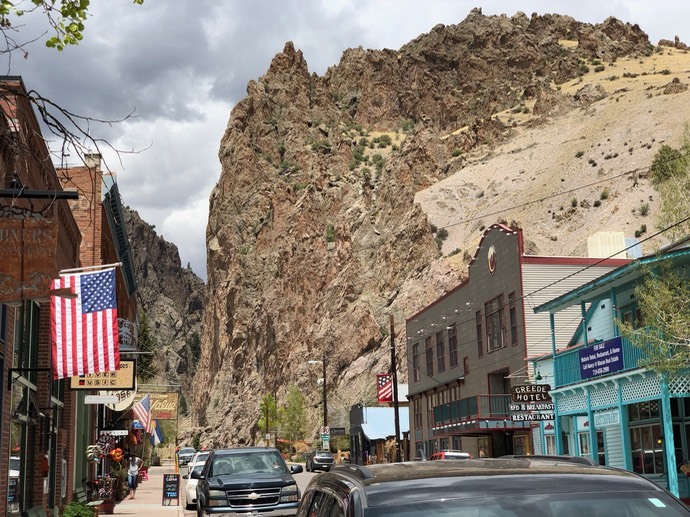 �After a quick tour of town we headed out for Red River, New Mexico.